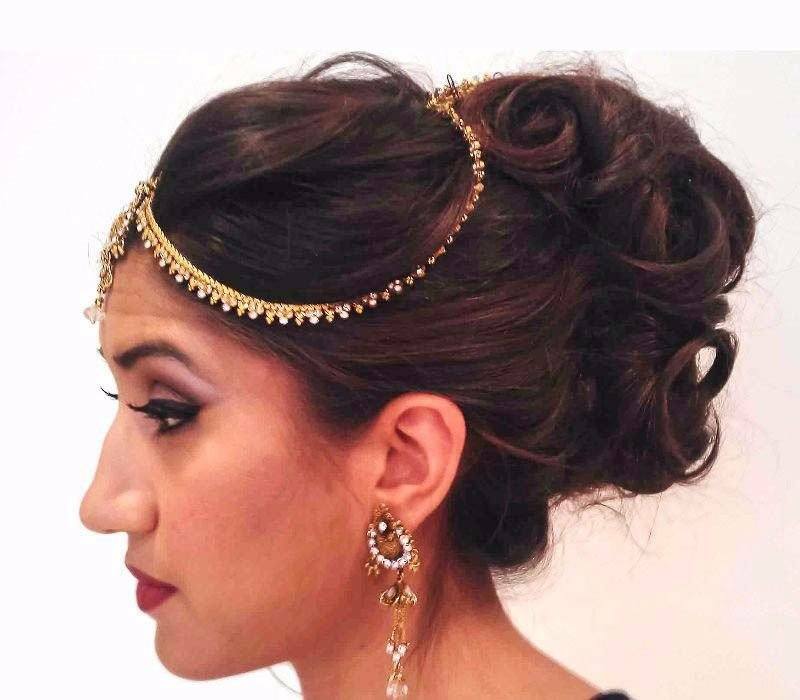 Notting Hill based makeup artist Fiona has over 12 years experience in Asian Bridal hair and makeup London services. Further more, Fiona is an expert in matching Asian skin tones. Focusing on a celebrity-style make-overs using products such as Illamasqua, MAC and Bobbi Brown. We provide a natural, flawless airbrushed skin finish. Paired with exotic, Arabic or contemporary eyes and soft facial contouring. Especially relevant, our clients are provided with an affordable, highly professional and reliable service. This approach gives clients a modern take on traditional Asian hair and makeup London styles. Fiona has never cancelled on a bride. My best friend had many makeup trials for her wedding, from top Asian makeup artists, who charge extortionate amounts, and I was with her all along the way. And we found that not one of them actually enhanced her real beauty. And made her look completely different to what she really looked like. A friend of mine recommended Fiona, so I advised my best friend to go with Fiona. She had a hair and makeup trial with her and we were convinced. Not any other makeup artist took the time and effort to understand her needs, and I thought to myself that when I get married I will definitely be using Fiona. Finally my turn had come, and I did not even bother to book any makeup trial with any other artist. I did not hesitate one bit to call Fiona down to my place, and it was no surprise she delivered excellent results. Fiona takes time and care to perfect every little detail, even in a trial. And this is the uniqueness about her, I guarantee that this quality would not be found in any other makeup artist. Fiona made me look like the princess I always dreamed of, if you don't believe my comments, then meet her and see my pictures!!!!! I have to thank her for her effort and time. Thank you Fiona for being a star! making re-usable made 2 measure extensions. (cost of real hair is £35-60 additional). -£50 additional -for two looks or to stay for afternoon retouches. £40 makeup/ hair only per person. (Travel is included for rail and tube Zones 1-4, but not if a cab is required). - £40 for a wedding makeup or hair only on a weekday 1.45pm W8 (Monday to Friday). -£50.00 for a makeup and Hair trial on a weekday 1.45pm W8 (Monday to Friday). (add £20 to visit your location & £10 more at weekends). Fiona has worked with some of the biggest names in the industry like Stila, M.A.C. Bobbi Brown, Lipstick and Curls and the Vintage Hair Lounge. 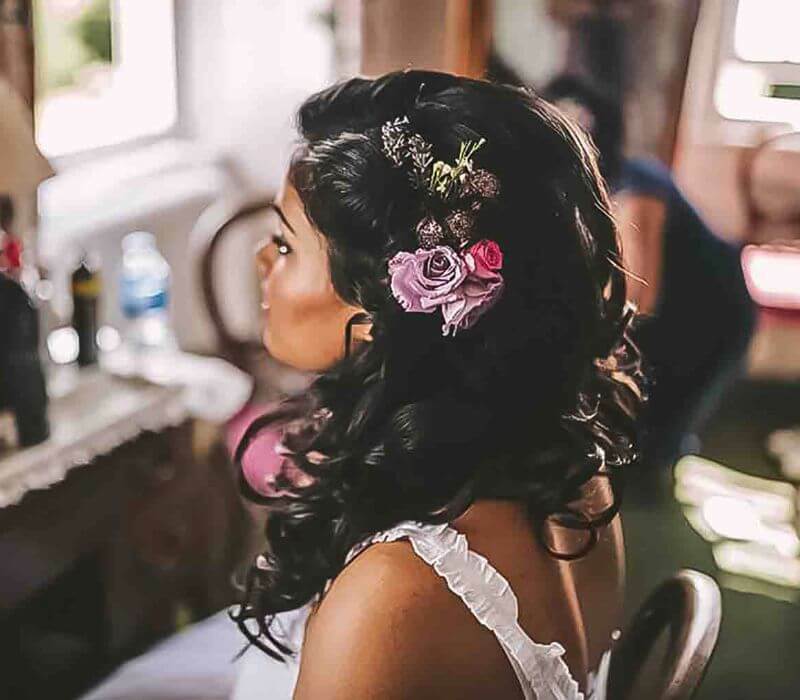 As a result, we can provide flowing locks or elaborate up-dos using your natural hair or will tailor natural real hair extensions to provide the best look for you. In conclusion, we only use makeup and hair artists who are hand-picked reliable professionals proficient in matching all skin tones and makeup styles. Finally, we only use top quality brands: MAC, Bobbi Brown, Bumble & Bumble, Kryolan, Toni & Guy, Stila, Charlotte Tilsbury to name but a few. 1. Preparation. Collect images of your dress, flowers, jewelry, hair, theme and venue for your Asian bridal . Further more, a great way to do this is via Pinterest. You will then be able to create a board accessible to all your wedding suppliers. Be realistic about your facial features and hair type in relation to the chosen images. Most noteworthy, extensions can be used but can be time consuming so beware if you have an early start! 2. Time Plan with Touch up Tips. It is recommended that you have digested any necessary preparation prior to the day. This includes details such as washing hair with salt shampoo to enhance and promote volume. 3. Weddings Abroad. 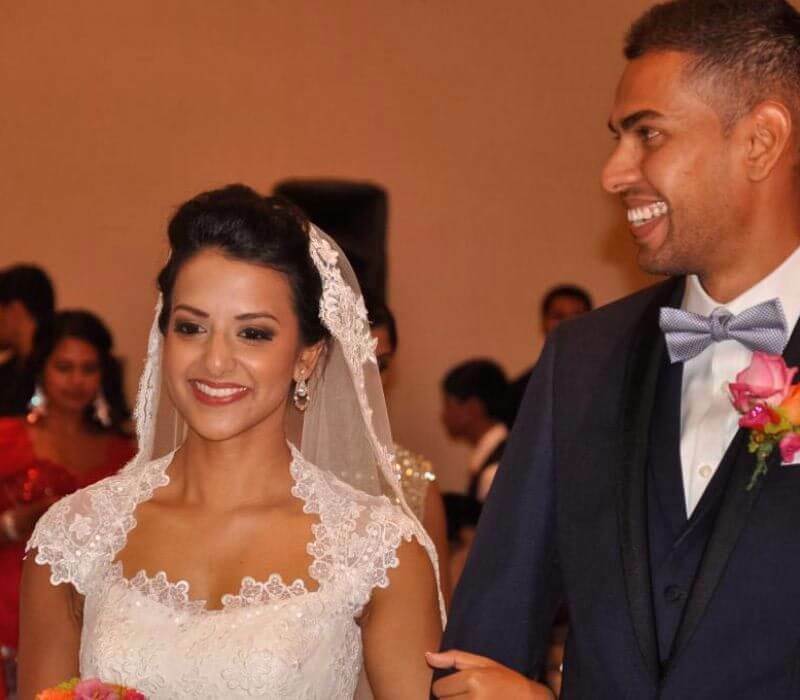 If you have a dream destination planned; a wedding makeup and hair lesson may be advisable. It is advisable to start practicing at least 6 weeks prior to the day. This will ensure that you have perfect results on the day. If you expect the weather to be hot; test the durability of makeup and hair in conditions similar to that country. 4. What to Wear? Wear your wedding top or similar colours to your bridal ensemble. This will ensure that you have an understanding of how the makeup and hair will sit on the day. 5. Time Plan. Provide your hair and makeup artist with a list of email addresses/ contact details of the bridal party. It is imperative that the additional ladies are aware of how long looks can take. An overall time allocation can be given in regards to their own chosen style and facial features/ hair type. Consequently, a time plan will be given to each bridal party member in preparation and in order that every lady is really happy with her look. 6. Who to Bring? Usually I would recommend that you come alone. However, if you are unsure and want some friendly advice try to bring a trusted person; who will offer advice and comfort. Additional Information Images of the Trial. In addition to a time plan for the day which will include every person. 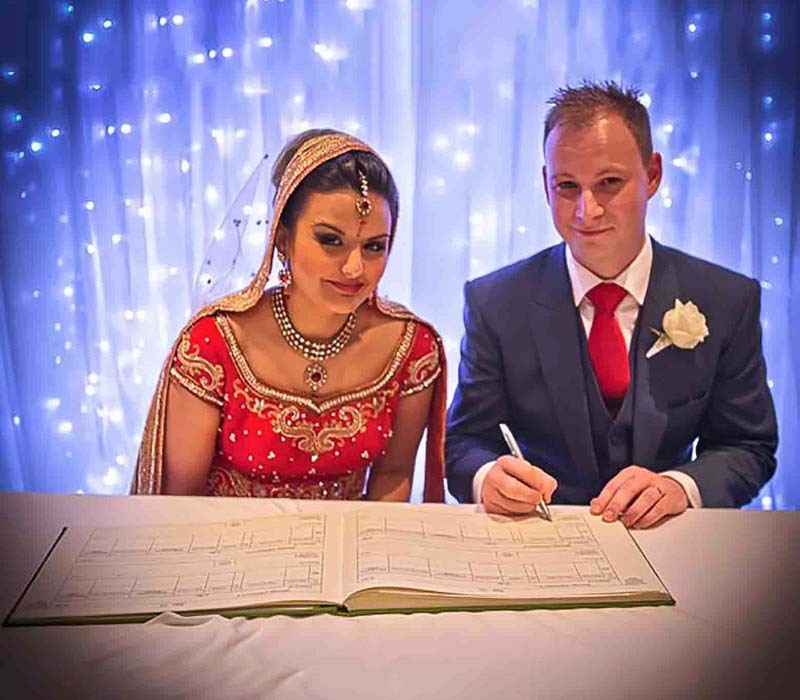 Fiona will take images of your Asian Bridal hair and makeup London based look including any details so that you have many images to show others and that the look can be reconstructed on the day. Time Management. Bridal trials always take more time than the wedding day. I would always give a realistic allocation of time and add on an additional 15-30 minutes to be safe. It is better to take your time to get the look right. Prepare Questions. Please remember to have a list of suitable questions ready to ask. We will incorporate the answers in your unique care and time plan. Skin Care. It is advisable to exfoliate 2-3 times per week with a medium bead exfoliator. Drink 2.5 litres of water a day and try to eat plenty of fruit and vegetables. Skin, nails and hair supplements can definitely help if you take them at least 6 months prior to the wedding day.